Celebrating Over 30 Years of Business! DP Turf is celebrating over 30 years in business! The brother team of Doug and Derek Preston have led DP Turf over the past 30 plus years to the delight of many customers. 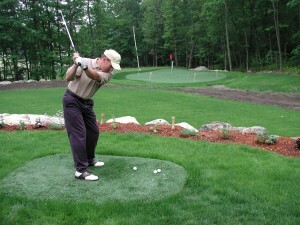 They look forward to many more years of providing custom Turf and Landscaping solutions to their New England customers! As of now Spring 2018; our schedule is filling up quickly and we are already starting and scheduling jobs for Spring, Summer and Fall. We want to thank all of our customers for an amazing season in 2017. The Preston duo and DP Turf team have been scaling up this off season to continue to deliver custom large and small scale projects. 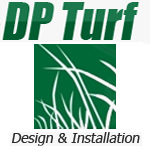 DP Turf is recognized for their devout commitment to excellence and outstanding customer service. DP Turf also has a new product to help cool off that hot synthetic turf in your playgrounds, parks, daycare centers, backyards and schools – The product is called HydroChill – CLICK HERE for more information on it! In 2014; DP Turf – Southwest Greens premier supplier of synthetic custom turf had projects in Rye NH, Golf hitting cage with synthetic turf and two hitting mats at the Vesper Country Club in Tyngsboro MA and Hardscape and Landscape projects with walls, brick patio and a synthetic lawn installation in Andover MA – and may other unique custom turf and landscape projects all emanating from the areas experts in custom putting greens, backyard greens and landscape projects! Last season alone we provided service to clients in; Newton, Wellesley, Wayland, Andover, North Andover, Sudbury, Lincoln, Gloucester, Manchester by the Sea, Needham,Cambridge, Boston,Weston, Winchester, Lexington and many more throughout MetroWest and Southeastern MA. If you would like to tell us a little bit about the job please CLICK HERE to fill out a contact form. DP Turf is your source for Southwest Greens in MA and NH! Our turf products provide for a safe, high performance surface perfect for a host sporting activities. We use only the highest grade synthetic turf to provide the most realistic and practical alternative to grass on the market today. Our advanced backing system allows our turf to conform to any desired slopes and contours, and ensures maximum drainage with little to no moisture build-up. Best of all, our products are low maintenance so that mowing, watering, and fertilizing will no longer be necessary to keep your grass looking great year-round. Our products and installation methods have been refined and improved to what we feel are “best in class.” We have made the strategic business decision to franchise our network of installers in exclusive protected territories. This allows us to maintain the dedication to high quality installations as we grow in size and scope worldwide and ultimately provide higher levels of client satisfaction amongst our entire system of franchisees. You can be assured that you WILL know where your turf comes from with Southwest Greens. Our yarn is manufactured by Tencate, who makes the highest quality synthetic turf yarn on the market. TenCate has a history that goes back as far as 1704. By constantly adapting to changing circumstances, TenCate has developed into a multinational with locations in more than 15 countries and over 3,500 employees. DP Turf has been operating at the same high standards of excellence for the past 25 years and delivering the same outstanding customer service to satisfied clients year after year. For a quote or to talk to Doug or Derek please give a call to 978.250.5996 or 978.392.1918 you can also reach us by email doug@dpturfma.com or click here for our contact form. We all know how difficult and costly it is to maintain natural tee lines and tee boxes in golf courses due to the frequent use of these areas. Southwest Greens’ Ultimate Tees maintain the natural look of the tee, while adding maximum durability, all at a fraction of the maintenance cost associated with natural tee lines. Furthermore, mats used in most practice facilities and driving ranges use rubber tees that do not provide the feel of a natural tee. With Southwest Greens’ tee lines, players can place regular golf tees directly into the hitting surface, enabling a truer feel when making contact with the ball. 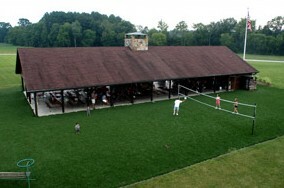 DP Turf had been installing tee lines for over 25 years!